Most retail products have price points. These are either know price points which the consumers expects; can of beans, pint of milk, loaf of bread, or are more industry accepted price points which the consumer doesn’t always know. When at B&Q we had some 50,000 plus SKUs (stocked units), we discovered only a couple of hundred had consumer know price points and it was only these you often had to focus on in a price war. Book publishing has always enjoyed price point freedom, where the RRP (Recommended Retail Price) is often anybody’s guess and some would suggest as fictitious as some of the content. It is also one of the few consumer products to still carry the RRP on the product itself. When being discounted this is a great indicator of value to the consumer. Although it has often been a bone of contention to retailers who feel it can limit their options. Buying a physical book is often a process of selecting a title and then flipping it over to discover the price expected. Many titles sit spine out and negate the use of POS shelf stickers so demanding that each individual title is either stickered or pre-printed and discounted. It can often be like a lottery with prices often all over the place and all sitting alongside each other. The obvious exceptions are when the book is in a discounted section, dump bin, end of gondola, or is discount stickered. Although some publishers and formats did come close to establishing price points, they often find themselves sitting next to others that undermined the action. Remember when music had little price points and the impact that iTunes and others had and now we find pricing is being established by market forces and discounting and also is very low compared to only a few years ago. 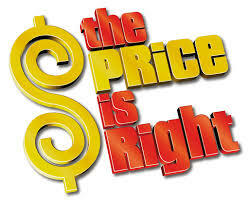 Today we live in the price comparison world where anyone can find the cheapest offer at a click of a button and even via their smartphone. This has had a significant impact on many sectors where pricing was a challenge. Insurance, big ticket items, travel and many other sectors are now down to a beauty contest where the winner is often the cheapest, or the cheapest known source. So how much would you pay for an A, or B format paperback, hardback biography, softback reference work, academic monograph, etc? Does the RRP price reflect the cost of production plus margin, what the publisher thinks people will pay or some vague recognition of a market price and price sensitivity? As discount wars exploded, some would suggest that many publishers merely raised their RRP to compensate for the heavy discounts given and those with a price point policy often found their hands tied by a policy that the consumer didn’t recognise. We had rendition format pricing with those big paperbacks at airports aimed at adding an extra return for larger paper. We have the hardback versus paperback price which is now confused further by the digital edition. All contain the same content merely held within a different container, or container priced. Can effective RRP price points be established , or is it now one way discount traffic and down to the retailers to establish their own price points? Remember when Amazon introduced the $9.99 ebook concept and the ensuing responses and agency debacle? Amazon’s latest Matchbox offer may be a success, or it may fail, but the one thing it will do is drive down the price of ebooks even further and faster. The bundling concept doesn’t drive up the price of the physical merely devalues the secondary sale and although some will state this is good and new revenues, there is a cautionary saying – beware of what you wish for. Amazon’s marketplace is the new book price comparison destination for many and their mix of physical and digital offer is one few can even start to compete with. They may not be the discovery channel but they will be the price comparison one. The other interesting aspect of the price pointing of books is how publishers will position themselves against their channels as they explore direct to consumer sales. Finally, the digital ebook market has already thrown up some interesting insights on price points. Which of the following price points will attract the most activity, the next highest activity, next highest level from; free, 0.99, 1.99, 2.99, 2.99 plus? The challenge is to then understand the logic behind the attractiveness of the offers and their potential logic. The industry has taken too long to establish and work with price points and it’s the market that will start to establish them and maybe not just for digital product.